Yup. It’s a terrible secret finally being told. Back in October, Corey Jason, the man behind the band, wrote to me asking for a review. After the first song, I was thralled , this was amazing, so I quickly replied to him that I’ll do a review. But meanwhile, the album kept playing, and it kept getting weirder and weirder. And I love weird music. I’m in awe when I listen to Peculate, I’m amazed at the jazz-rap of New Apple Taste, and I’m currently working on a microtonal black metal text-to-music album in 26 EDO. Weird is my thing. But it got weird in a manner I’m not used to. And I just let it play out, and didn’t know how to react, how to feel. Even when I came back to it (because I still owed the guy a review! ), I just couldn’t do it. And he was right. At first it made me think of Peculate, because he too likes to put things that don’t usually go together, together, in a purposefully and intentionally brutal, deranging manner. But the two are very different nonetheless. Alright, enough with the introduction already. 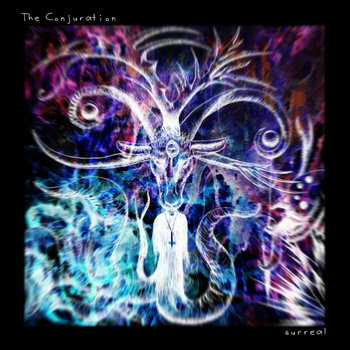 The Conjuration could be labeled as extreme experimental progressive metal, or XXPM, and it’s a one-man-band. If this man was me, my influences would be along the lines of Zvoyn, Unexpect, and Igor Stravinsky. This should give you quite broad outlines as to what to expect (if you haven’t hit play yet, as I expressly told you so). But don’t worry, there’s plenty of weirdsomeness on Surreal to please you for a long while. There’s not much I could say to criticize it. The drumming sounds awfully mechanical, and that could be worked upon by using better VSTs and messing around more with the MIDI velocities, or actually learn how to play drums, or even ditch the one-man-band thing and hire a drummer. Unless, of course, it’s a stylistic decision for a mechanical, industrial, robotic aesthetic. Then, that’s fine. It really is just about how the composer envisioned it. In the end, Surreal is an awesome album you should definitely add to your library. It’s really strange, and it’s only one of the reasons to like it. There you have it. A long overdue review. Probably the last one of the year, too. So have a good one!